The key to CAT-5’s incredible stopping and hold down power is the net and patented clamp system. Its advanced design dramatically reduces a Hurricane’s destructive wind pressures while providing impact resistance and incredible strapping and hold down power. 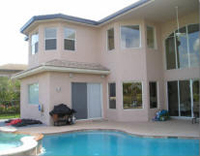 Until now, the only way to protect your Home envelope from the devastating effects of a Hurricane was to install Hurricane Shutters on doors and windows. 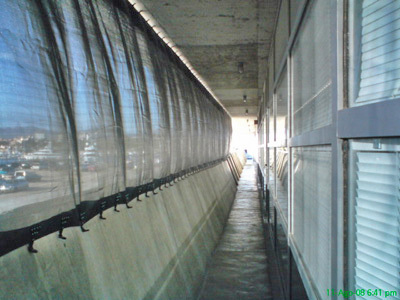 However, conventional shutters aren’t designed to protect your roof, cars, fences, boats, landscaping or anything else that can’t be shuttered or sheltered inside. 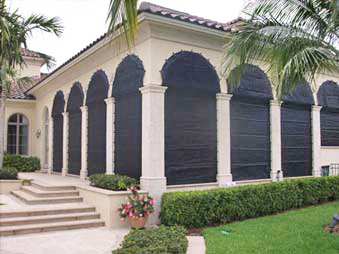 The CAT 5 Hurricane Netting System is a revolutionary solution that can protect your home and everything around it from the destructive force of a hurricane.